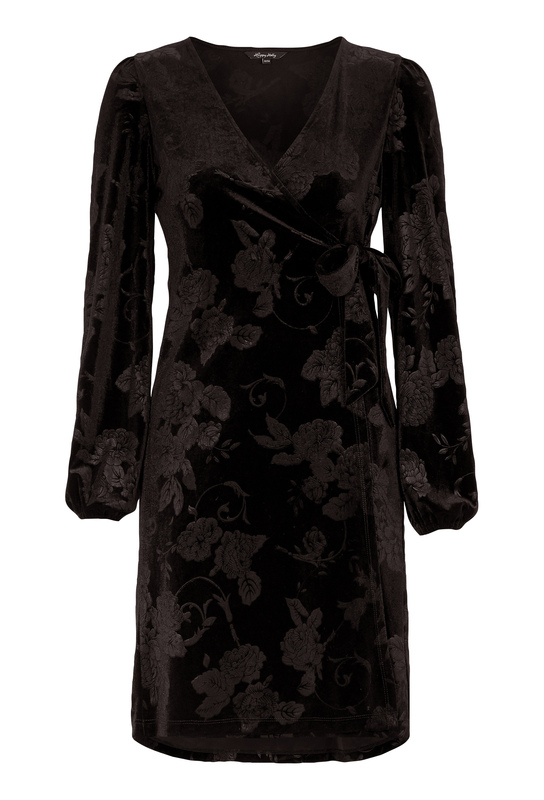 Beautiful, festive wrap dress in a patterned velour quality from HAPPY HOLLY. The dress has a special cut under the bust for a flattering fit. 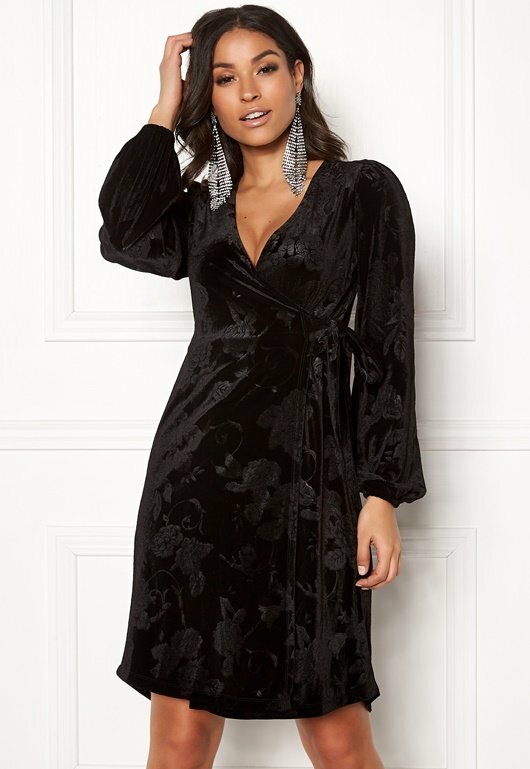 Closes with a decorative velour tie waist. Back length from shoulder 95 cm in size 36/38.